The Dade Massacre is almost forgotten in the annals of the U.S.-Indian wars—but it was one of the deadliest in army history. 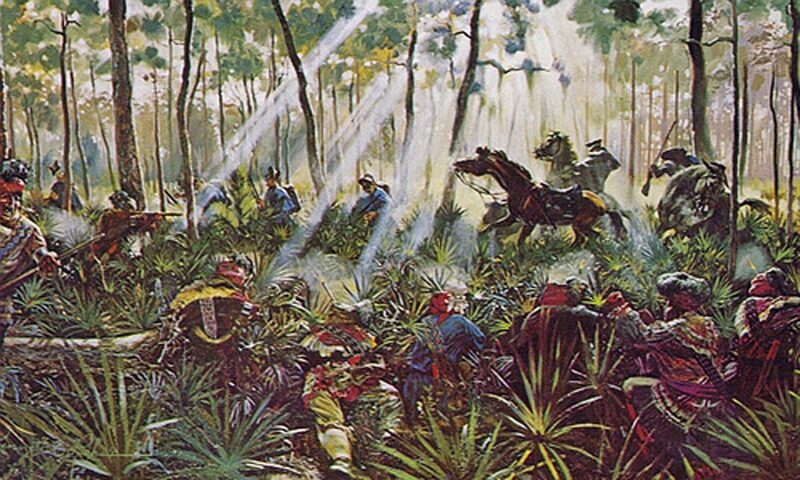 On December 28, 1835—at the start of the Second Seminole War–about 180 warriors ambushed 110 soldiers as they marched in two files through stands of palms northeast of modern Orlando. Most of the military men couldn’t get to their flintlock muskets before they were killed. Only three soldiers survived. The dead were buried at the site, although the remains were later disinterred and reburied at the St. Augustine National Cemetery. How many trail drivers were needed on a cattle drive? 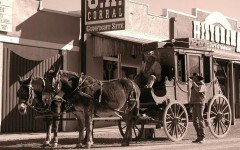 Spring is in the Air What do Tombstone, the Pony Express, an “anti-dude” club and Jesse James have in common?